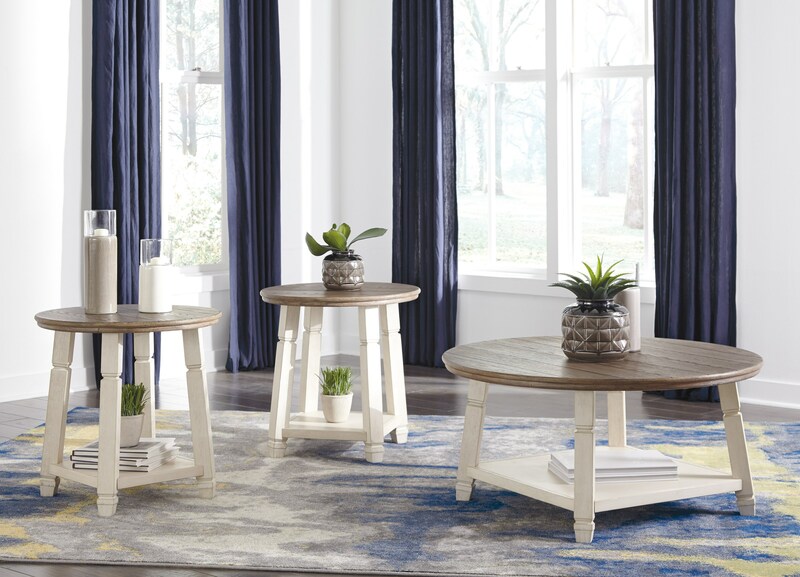 Cozy up your living space with a set of relaxed vintage round tables. Projecting a country feel with the dark plank style table tops, the pieces are balanced with the lighter white coloration of the canted table legs. Including a shelf for extra storage space, these jaunty tables will brighten up your room. The Brooke Relaxed Vintage Round Occasional Table Group with 1 Shelf at Rotmans in the Worcester, Boston, MA, Providence, RI, and New England area. Product availability may vary. Contact us for the most current availability on this product.